Are you striving to carry System Restore into effect with Command Prompt in Windows 10 rather than the conventional mode? Generally, this situation arises when a system gets infected or a severe mess up occurs and you become incapable of sending your computer the earlier point of time. This method comes as a life saver as it directly brings the System restore wizard in a flash only after pasting a genuine command. Then you become free to execute the process in 3-4 steps and after 30-40 minutes your computer reinstates a backdate files. You can do the same after going to the safe mode quite securely. 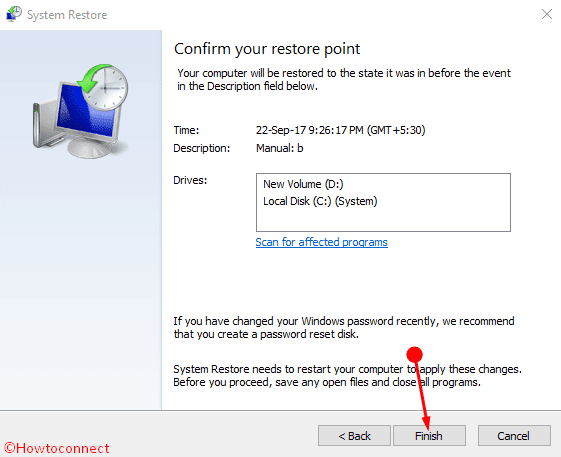 Anyway, you will experience the complete method with pretty straightforward steps here - How Run System Restore Using Command Prompt (CMD) in Windows 10.